Sometimes I catch myself saying “I used to be a cyclist.” I’m perpetually tired. I’m round. Movement is awkward. People lift boxes for me and discuss the size and shape of my stomach the way they might the changeability of the weather. My identity as an athlete feels like it’s fading into nonexistence as much as my waistline. But I’ve done all this once before. And if there’s one thing I know about being pregnant it’s that pregnancy is a very temporary state, one that you might even miss when it’s over, just because there was something so unique and…well, connected…about it. For any woman who’s an athlete and pregnant (or thinking about becoming pregnant for the first time), I’ll share this: First, physically you will be back to where you were or better if that’s your goal, and two, you don’t have to be in a huge hurry to do it. When I was carrying my first child I tried to pitch an article on training during pregnancy to various cycling publications. In truth, I wanted to research and write about it because I wanted to know more myself. I was frustrated by the lack of answers on the subject, even via anecdotal testimony; people were remarkably close-lipped. More often than not the advice I found was, “do what feels right,” and “exercise in moderation.” But what was moderation? And when does a quality interval session feel like anything other than dying? Dr. James F. Clapp III's Exercising Through Your Pregnancy became a source of great comfort to me. The book represented real research, not just a series of chatty internet articles lacking sources, and it didn’t condemn mothers-to-be for “strenuous” exercise; in fact, the studies listed a number of possible benefits. I interviewed Bradley Price, an OB-GYN (and dedicated triathlete) in Austin who had conducted a study that showed starting an exercise program during pregnancy had noticeably positive benefits even for previously inactive women. Compared to Bradley’s sedentary control group, the group that performed “moderate aerobic exercise” for 45-60 minutes, four times a week, through 36 weeks gestation were shown to improve aerobic fitness, muscular strength, have similarly sized babies with fewer cesarean deliveries, and recover faster postpartum. I also interviewed professional triathlete Sarah Haskins-Kortuem and former pro bike racer Jen McRae. I tried my best to get an interview with two-time gold medalist Kristen Armstrong, who’d held her two-year-old son up for the cameras after becoming the oldest rider to win an Olympic time trial in London in 2012. 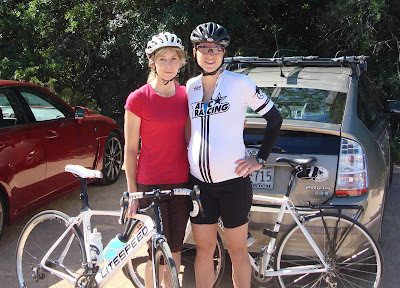 I talked to local multisport elites like Maggi Finley and Missy Ruthven. I outlined a number of ideas. And then I gave birth to my son, and the project moved from burning, to smoldering, to on a cold back burner. As time went on I think I became, like others, more reluctant to speak of my experience, both simply because I was forgetting much of it and also because other people are exceptionally quick to judge and criticize when it comes to anything involving babies, born or unborn. Though exercise is now widely recommended for women during pregnancy, the world at large still gets very nervous when you take it beyond a gentle waddle around the block. You can’t blame people for thinking that way. There’s much we don’t know, and the reluctance to study the subject is understandable given the ethical and practical concerns of experimenting on or with pregnant women; research tends to rely on self-reported results. In a sense the unfortunate truth for any woman is that she has to become her own guinea pig. Because of this and the fact that every pregnancy and every woman’s body is very different, the advice to “do what feels right” is actually some of the best that you’ll get. To me, a woman’s evolutionary pedigree is more all-weather workhorse than hot-house orchid; the practice of remaining inert and indoors during pregnancy seems more alien and destructive to our bodies and those of our unborn children than being rigorously active. That was my foundation for training during my first pregnancy, and from there I tried to manage my workouts with a sense of practicality and “moderation” as best I saw it. I made a number of mistakes, of course. My first mistake was thinking of training during pregnancy in terms of my competitive success post-delivery. From that standpoint it’s not a time to push the envelope; there’s simply no practical purpose. You’re going to have to take some time to recover after the baby is born, whether you deliver vaginally or by cesarean, and regardless, getting back into real race shape is just going to take time. (Less than you’d think, maybe—I was better than I’d ever been long before my son turned one.) In hindsight, I think the real reasons to train during pregnancy are to keep up a consistent routine and to avoid unnecessary weight gain, not to mention emotional happiness and sanity. Maintaining a reasonable level of fitness will make it easier to get back to competition later and will likely help you and the baby manage the effort of labor better. The hardest thing about training during pregnancy can be learning to trust your own judgment. It helps to find a doctor who understands and supports your goals; sometimes OB-GYNs can sound about as well informed as those chatty internet articles, so if you have one that can quote real case studies and real numbers, you’ve probably got a doctor who’s going to tell you that you’re doing a good thing by working out. (If you have to see an MFM and are in Austin, I highly recommend Dr. Celeste Sheppard at Hill Country Maternal Fetal Medicine.) It helps to be conservative, too, to stop somewhere before you would in a typical pre-pregnancy workout: for example, to not push yourself quite as long or as far, to allow yourself without guilt to stop or slow down when you need to. There’s no reason to put an undue amount of pressure on yourself. You’ll encounter a lot of challenges and changes that you never have before. Because of loosening ligaments and the different weight distribution, for example, you may find yourself more prone to injury. Expect to get slower and to do less as your belly grows, and don’t let this make you feel like you’re failing. Anecdotally…carrying my first son, I rode outside at near-normal levels of training for the first trimester, racing the state championships (second to Lauren Stephens—no shame there) at five or six weeks pregnant in 2012 and continuing on during the following off-season period with hard group rides and sporadic interval workouts. I tried running but had uncomfortable cramping in my abdomen, so that didn’t last very long. After the first trimester, I started parking my car at the veloway and doing all my training by bike on the track, which is closed to cars. When the position on my road bike became awkward I switched to a slow commuter bike with a very cushy saddle, a rack, and unnaturally high handlebars. I did a combination of trainer and veloway workouts up until delivery (which for me came two weeks after my due date). 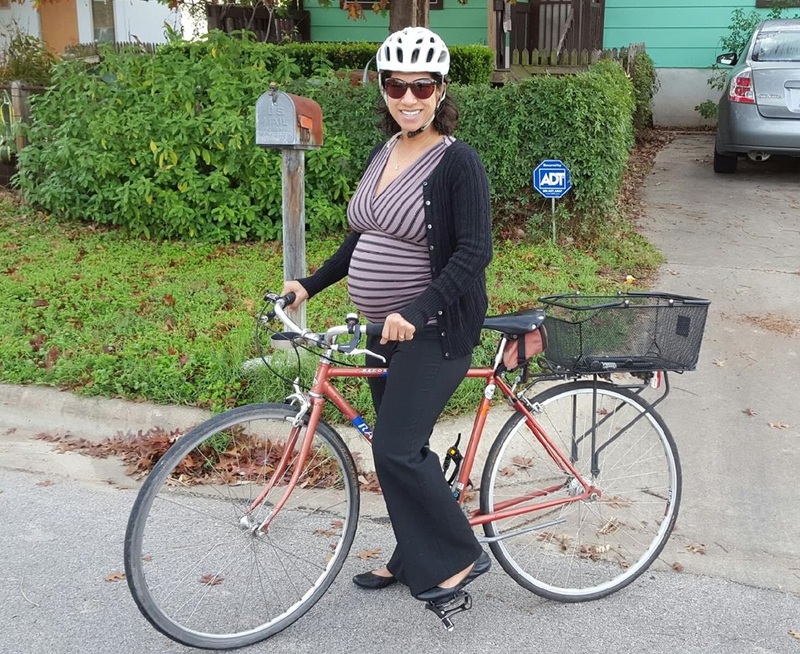 I got back on the bike roughly two weeks after my son was born without too much difficulty, though it probably would have been more constructive and healthy to have allowed at least one more week. Weight loss felt slow at first, but eventually I was back to my previous weight without ever having dieted. I breastfed my son for the first year, and with hard training I had zero problems with milk supply—I typically had an oversupply. That, too, was manageable during training, though it meant my weekly long rides were limited to about three or four hours in terms of comfort. Still breastfeeding at around 10 months, I placed sixth in GC at the Joe Martin Stage Race in April 2014. 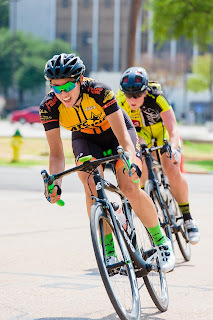 In June I had a significant PR at the Texas State TT Championships and was fastest woman overall. That July when I was in the final stage of weaning, I won the last stage of a pro race, the Cascade Cycling Classic. The momentum and motivation and success of that year following childbirth I have never experienced again and probably never will. There's some evidence that a mother's blood parameters are improved postpartum for a period of time (Clapp's book discusses this). And then, of course, there are the disturbing rumors of Olympic athletes in the '70s and '80s intentionally becoming pregnant and then aborting the fetuses for the aerobic benefits. Very early on in the pregnancy, possibly even before you know you're pregnant, your blood volume increases. Some athletes have diagnosed a pregnancy just from the sudden drop that occurs in power numbers. You're exhausted until your red blood cell count catches up, and after that you'll feel good again. The idea is you then benefit aerobically from the increased blood volume, but in my experience, both during this early stage of pregnancy and after in the supposedly superwoman period postpartum there are so many other factors coming into play that any improvements are a wash. You're always tired, you weigh more, you have terrible heartburn, your ligaments have gone Gumby, and afterward your body is also busy making milk, you're not sleeping, you can't train as many hours in one go, you're playing catch-up on overall fitness... My power numbers improved steadily well beyond the period of postpartum benefits, so though an increased red blood cell count may have helped alleviate the downsides post-pregnancy, I don't think it was the reason I did so well out of the gate. I think those nine months of rest during pregnancy—mentally and physically—may have been the key to success my first season back. I was just having a lot of fun racing again. With a second baby, everything is more relaxed, and my goals this time around are very different. I found racing at an elite level with a young child to be really, really hard—more so as time went on because naps were shorter and my son noticed more when I was away. I felt guilty, and I felt differently about things than I expected to; it was a lot harder to take risks when I was racing, to get into that mindset that the finish line was all that mattered. I’m still bothered by the fact that my racing and writing commitments made many of my son’s earliest stages a blur, that I didn’t take more time to marvel at his development into a real person. After racing on a pro team in 2015, I don’t think I’ll ever aspire to that level of competition again. It can be done, though, and some women do it exceptionally well. The fact that the way has been paved by other members of our gender is nice—what I didn’t realize, when I was going full tilt in that direction, was that I wasn’t going to be doing anything new and groundbreaking; I didn’t have anything to prove about the capability to be both mother and athlete. And this time I don’t even need to prove that to myself: I am a cyclist. I know I will be as much of a bike racer or competitive athlete as I want to be after I give birth, even if I’m near-spherical now. I might still go more in-depth with this topic one day, maybe listen again to those interviews that were so kindly given and piece them into a story with hard numbers and hard facts and the anecdotal testimonies of other women athletes who went on to continued success post-baby. I think the most difficult part of writing that article may be listening to the recordings of my former self: so full of ambition and yet so afraid of what lay ahead, not knowing that it would be better and also harder than anything in my wildest dreams. If this describes you, too, rest assured that you have much to look forward to. Enjoy the ride. 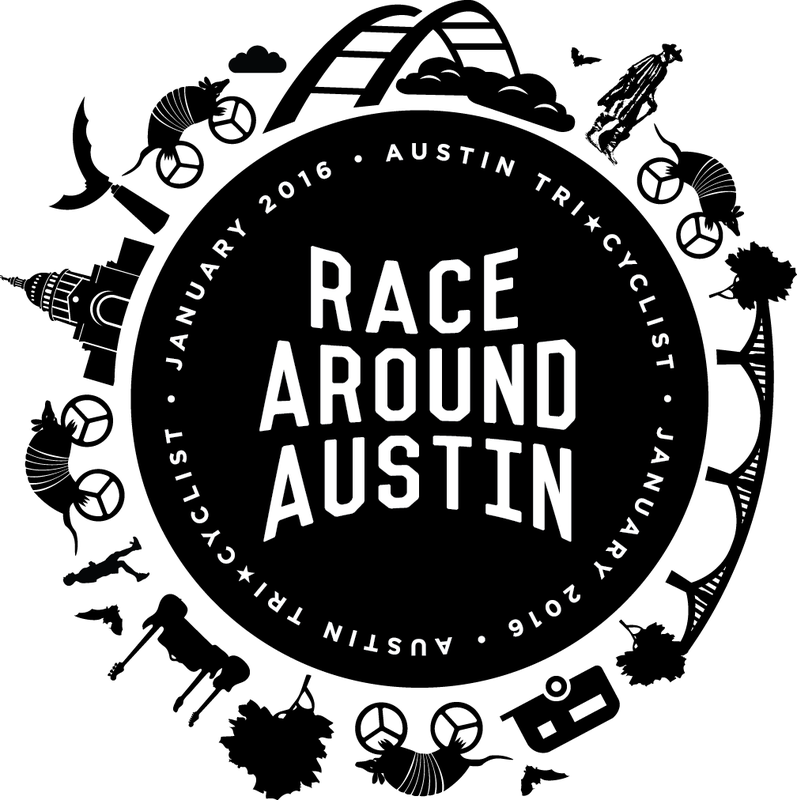 What is “Race Around Austin 2016” / #RAA2016? 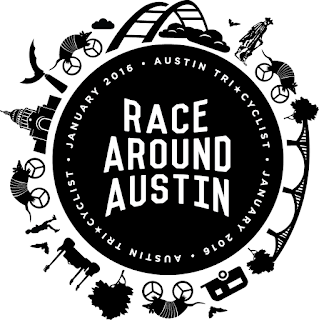 #RAA2016 is a fun-filled field trip/scavenger-hunt style “race” around Austin with four of your closest friends/teammates. 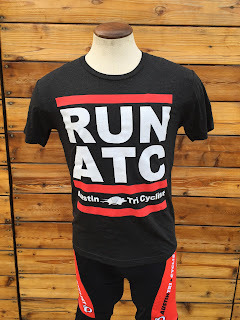 Teams of five will depart from Austin Tri-Cyclist and make their way to three highly classified, top-secret check-in points spread throughout Austin before returning to cross the finish line back at ATC. The check-in points will be revealed at packet pickup on Friday, January 22, and team members must work together to determine their team’s route for the next day. The order in which teams stop at the check-in points is 100% up to them, and superior routing skills and an unfailing sense of direction will no doubt be key to the fastest team’s success! 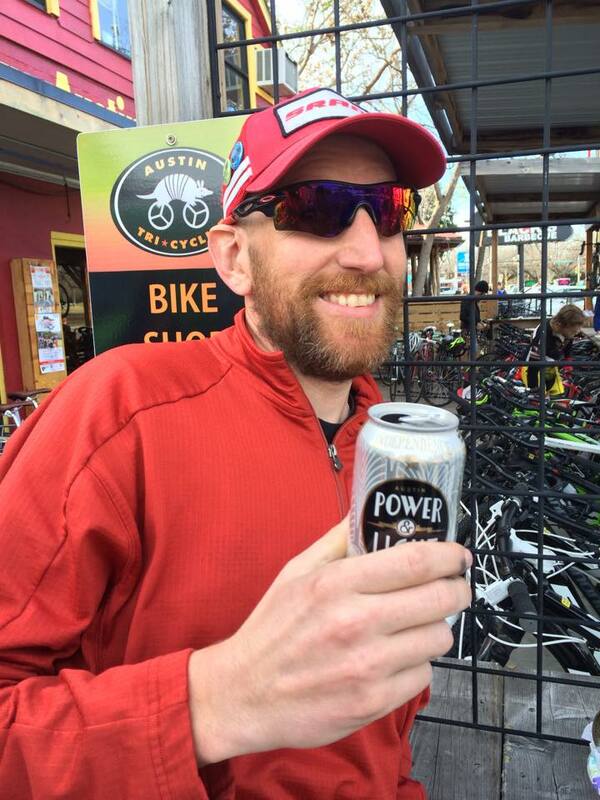 What did people have to say after last year’s inaugural Race Around Austin (#RAA2015)? How far should my team be prepared to ride? Well, that depends on your routing skills (see above FAQ! ); however, you should be prepared to ride somewhere between 85 and 115 miles, depending on the route that you plan. Yep, you’d better get to logging those miles if you want to be ready for this!! What can I expect at the check-in points? What will be required of my team at each stop before we can advance to the next one? If we told you that, we’d have to hang you upside down by your toenails until you begged for mercy! What didn’t you understand about highly-classified-top-secret??? What will the prize pot be for the fastest teams? Since this is officially a “Gran Fondo” (no USAC license is required to participate), we aren’t allowed to award prizes to the “winners” outside of the obvious social media fame that goes hand-in-hand with winning the Epic Adventure that is #RAA2016. Just ask Paul Fafard, or any of the members of last year’s #RAA2015 fastest team “Team Cycle Progression 2”…they’re STILL fighting off the paparazzi! 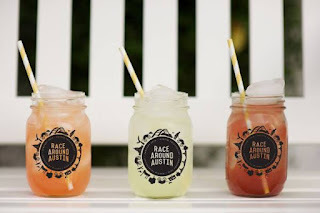 That said, though, the first 15 teams to register will receive a highly coveted, limited edition #RAA2016 mason jar from which they can enjoy post-race adult beverages or flouncy summer-time cocktails with umbrellas… HURRY! As of the time of publication, 14 teams have already registered!! What will the finish line festivities include? MORE SHENANIGANS! Adult beverages. And food. Lots of delicious food! 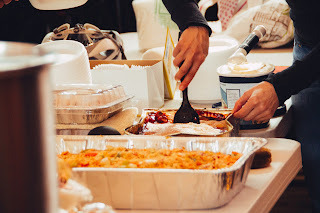 Last year, we served jambalaya, peach cobbler, cornbread, beer from Independence Brewery, and cider from Austin Eastciders, and ALL were a huge hit. 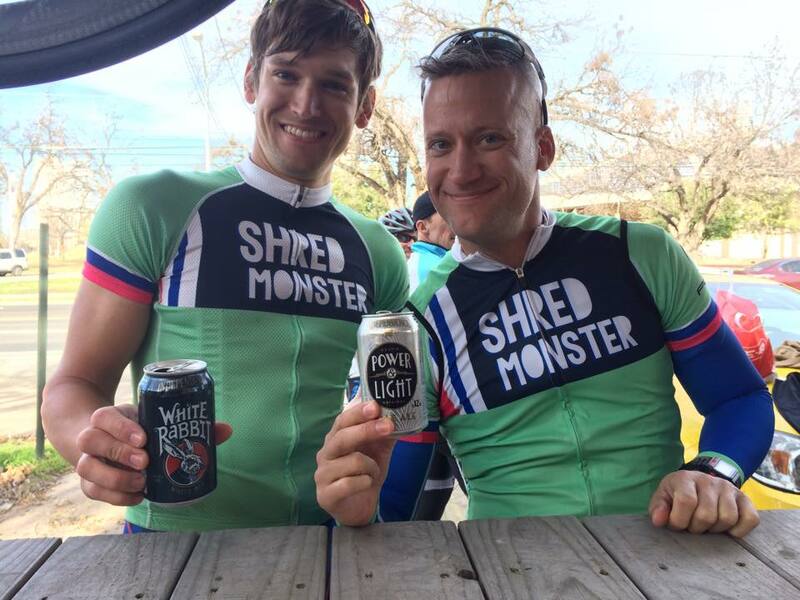 We’re still working out the menu for this year, but we’ve confirmed that Independence Brewery and Austin Eastciders will be donating adult beverages for your post-ride re-hydration needs. We’re talking with several other food and beverage vendors, so keep an eye on the Race Around Austin 2016 #RAA2016 Facebook Page for announcements of finalized race-day finish line food and beverages. 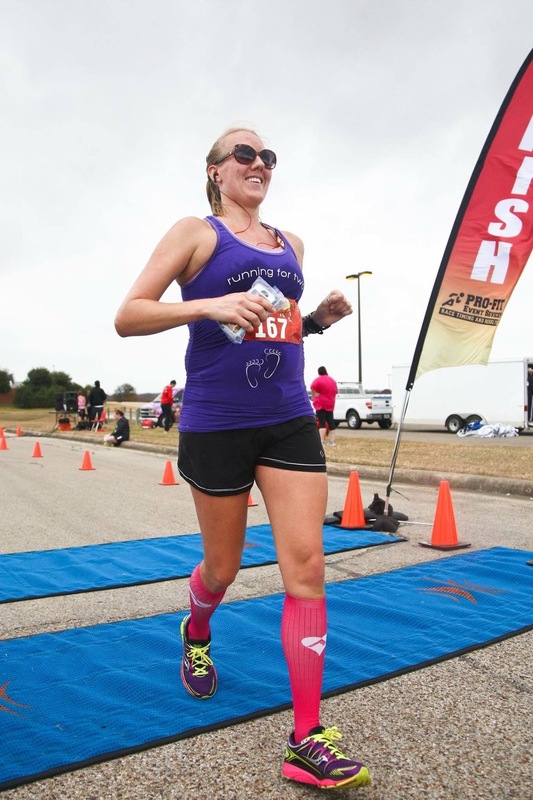 Michelle Hittner from Austin Massage Company will also be returning this year and will be set up at the finish at ATC to help start your recovery off right! So, where do I sign up, and how much is this fun-filled day of awesomeness going to cost me? **ONLY ONE PERSON (Team Captain) from each team needs to register. 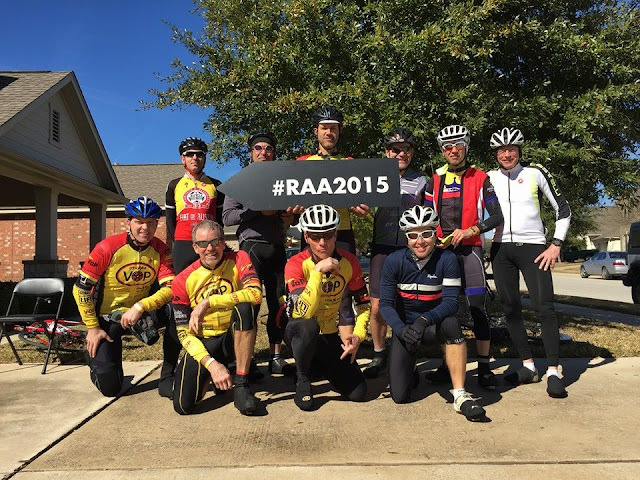 After registering a team, please email christietracy33@gmail.com with your roster of five and #RAA2016 team name. Team names can be creative and do not have to match your USAC team name. Early registration through January 16 is $90/team ($18/person), and the price increases to $110/team ($22/person) on January 17. If you’re able to register early, we’d REALLY appreciate it, as it will give us a better idea of how much food and supplies we’ll need at the check-in points and finish line. Need more incentive to register early? This year, teams which register by January 15 will get to choose their own starting time slot (from available slots) in the order of registration. Team captains who have registered a team by the 15th will be contacted on January 16 in the order of registration by an ATC Team Member for starting time slot selection. I’d like to participate, but don’t have a team – what can I do? Post a note to our Facebook Page letting others know that you’re looking for a team! 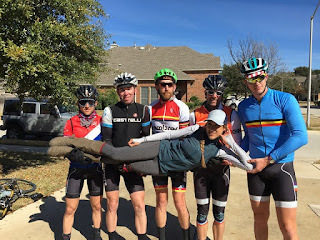 I have a partial team, but we’re short a rider (or two) – can we still race? All teams must be made up of five people, but we’re encouraging solo riders to post to our Facebook page, so check there often for solo riders looking for a team in order to fill up your roster. How do the ladies of ATC Racing plan to pull off such an EPIC event for the second year in a row?? We absolutely could not even begin to put on an event of this scale without the help and support of our sponsors and local businesses who graciously pitch in product and services in support of the local cycling community. We need to send a HUGE “Thank You” out to the following businesses for their sponsorship and support of this year’s event. Please feel free show your thanks as well, by patronizing their businesses in the upcoming year! Want to Race Your Bike? Everyone has to start somewhere, and at the very beginning we’re all in the same boat: we know we like to ride bikes, but how one goes about doing that competitively is something of a mystery. Often “the way things work” in the Austin cycling scene is word of mouth, and you might not have the right person to ask or even have a firm grasp on your questions. Here’s a very basic FAQ for someone who knows nothing but wants to learn more. There are lots of different types of bike racing, from track racing to mountain biking to adventure racing to cyclocross. This post will focus almost exclusively on road cycling—criterium races, road races, stage races, time trials, and the like—all of which take place on pavement and on a road bike or time-trial bike. 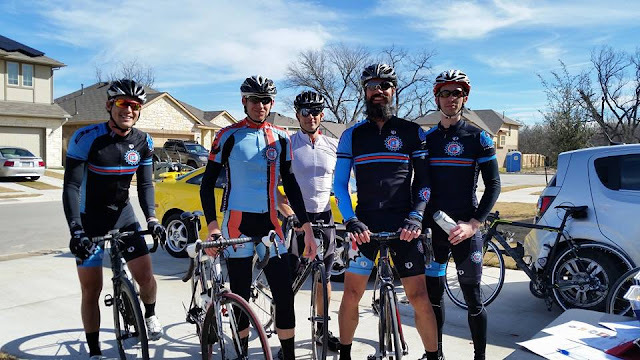 Most of Texas’ road cycling events are mass-start races, meaning you’ll begin with a group of people (in a “pack” or “peloton”) and complete a certain distance or duration to the finish line. The Texas calendar is very heavy on criteriums in particular, and there are also a number of popular road races (which take place predominantly in the late winter/early spring); pure time trials can be scarce and are usually less well attended. Road cycling has a category system, cat 5 being the lowest and greenest category and cat 1 being the highest category short of an official UCI pro designation. You “cat up” by placing well in mass-start events (TT results don’t count), so a rider’s category reflects a combination of experience and talent. A cat 5 man needs only to complete 10 mass-start races to upgrade to a 4, and from that point on he earns points to upgrade. A woman starts out as a cat 4, so she’ll need points to upgrade from her starting category. Races tend to be split up according to predicted field size—as a typical example, the men might have separate masters, cat 5, cat 3/4, and Pro 1/2 races, while the women almost always have three fields, which are cat 4, cat 1/2/3 (or possibly “Women’s Open,” meaning that 4s can opt to race in that field), and 40+ masters. It’s not uncommon for fields to be combined and scored separately if attendance is low (e.g., the women 40+ race with the W4, or the WP123 races with the masters men). Before you start thinking about joining a team, you need to race. This is not only a matter of practicality but necessity. Most teams aren’t going to consider you unless you’ve raced before and they know you personally. Cycling is largely about who you know and how you interact with people, not your power numbers. You have to prove that you can race well, not just go fast in a straight line. For men: You might be able to get on a team fairly quickly if you have the right connections. Men have more club-type teams that have large numbers and don’t require a specific amount of participation or experience level. Ask around at group rides and bike shops. For women: In Austin the women’s teams tend to be very small and selective. 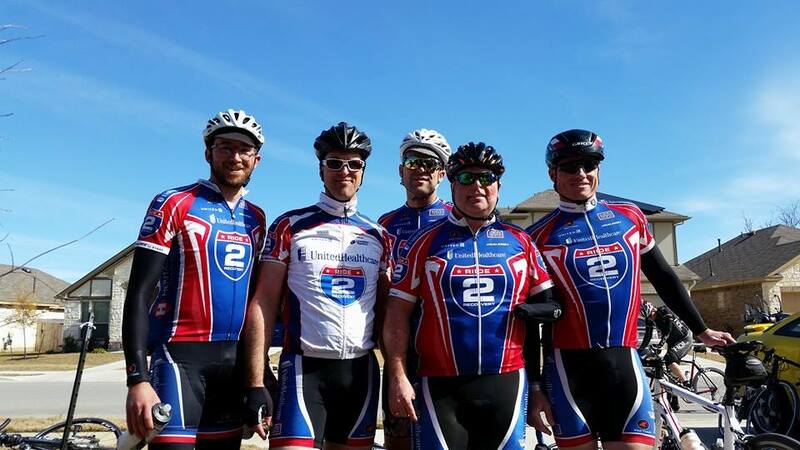 Most teams are comprised of cat 3 riders or above, meaning as a cat 4 you have very few options. Being a solo rider for a season until you meet everyone and figure out where you might best fit is probably your best option (see below). Whether man or woman, being an unattached rider for a season or a few months gives you time to figure out the sport and the teams you could see yourself riding for. Without teammates or the pressure to perform a specific role, you can focus on your own personal results and simply play the part of observer and opportunist—these things can be very nice. And don’t worry: there are a lot of other solo riders just like you, and you’re going to get to know people very quickly, whether that’s your aim or not. 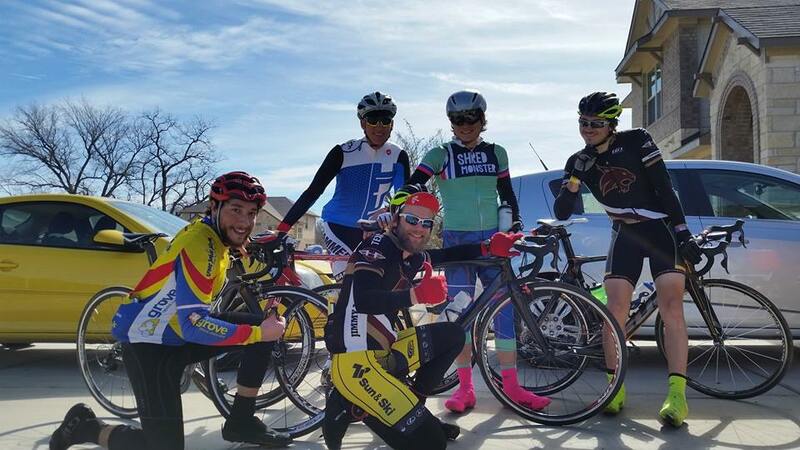 Bike racing is social, and everyone knows everyone else. Keep in mind that if you want teams to look at you the next season, you need to go to a lot of races, not just for the results and upgrade points but also to show your commitment level. Allegiances begin shifting and teams begin deciding their rosters for the next season in the late summer or fall. You may be approached by them, or you may need to give the team organizers a heads up that you’re interested. Switching teams mid-year is typically considered bad form. 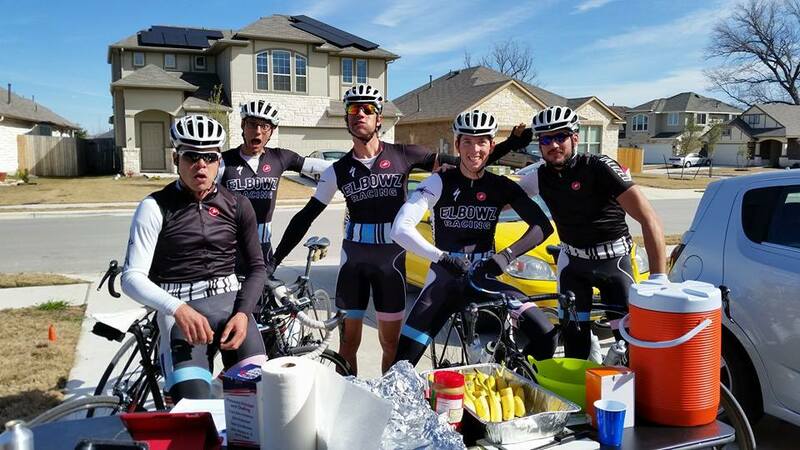 Some teams may have extra kits or mid-year kit orders that make it possible to add riders during the season; if you’re interested in joining a team, it doesn’t hurt to ask, but don’t be offended if they turn you down. First and foremost, think about how well you get along with the other riders. It might also be more enjoyable to race in the same category as most of your teammates—you’ll find some teams have more masters members, for example. You might also decide on a team based on who you can most easily train with, maybe one whose members live around the same part of town. Make sure you understand the commitment level the team wants (e.g., number of races) and that this aligns with your personal goals. Some teams will pay full or partial race entries and heavily subsidize kits; some teams require you to pay all costs yourself. If you start by asking “what do I get,” though, you’re probably not going to get a warm welcome from the team. How do I get a free bike? You're kidding, right? Teams sometimes get sponsor deals that they share with members, but the free-equipment crowd is an elite group of 1s or 2s on small and very selective teams. Often they're essentially full-time bike racers and travel to national races. If you join a team that has a good relationship with a local bike shop you may get shop deals on bikes and other equipment, but don't expect this, and treat those opportunities with respect. How do I learn more about racing? as a quality "starter bike" for racing. 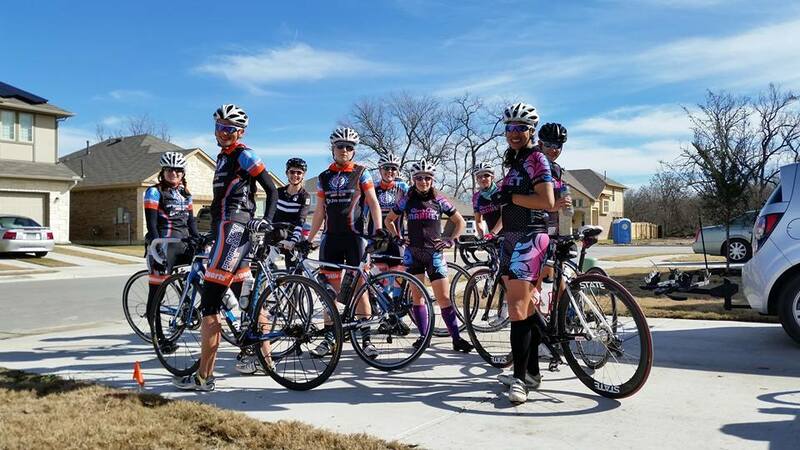 Before you even think about doing your first bike race you need to be experienced in riding with large groups of other people. Go on group rides. Challenge yourself to the hard ones. 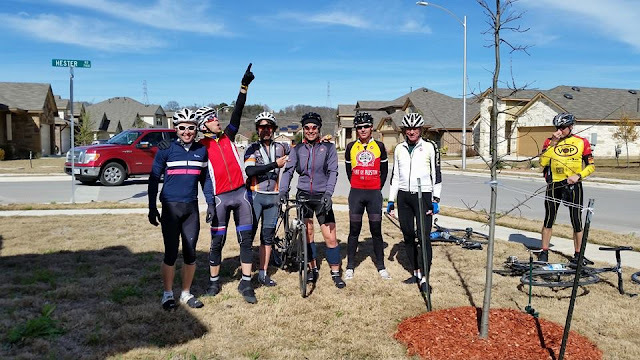 (Here’s a list of area group rides—note you’ll need to check on current ride times and details, as this post was written last spring.) Start asking around about what races other cyclists are doing and what they’d recommend. Most people are very willing to help and answer questions. Read race reports (see our ATC blog archives—we have lots! ); also check out TexasBikeRacing.com. The Texas race calendar can be found at TXBRA.org. 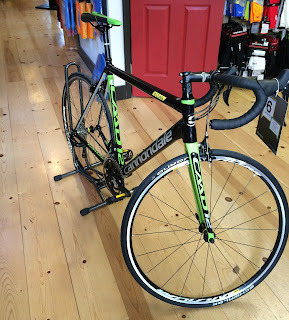 You need a road bike to do crits and road races. It doesn’t have to be expensive—the real priority is a good set of race tires. Tri bikes can only be used for time trials. If you’re worried about your setup and looking silly, go out and watch a race before you register for one, or take your bike to the shop and ask what you need to do to make it race-ready. Staff should be able to help you, and if not, switch to a shop that has more of a competitive customer base. Probably. Just make sure you have an idea of the route and make your way back. Don’t be embarrassed—it happens to the best of us sooner or later. Road racing is not a participatory sport; it’s not about completing a certain distance but rather being the first to the line. I can’t get injured. Should I do this? No. Better you hear this now than later—you have to be willing to leave some skin on the asphalt in this sport. Sooner or later you will crash. The result may be minor road rash or broken bones. You have to accept the possible outcomes going in. If you’re completely averse to risk or you’re particularly uncoordinated, it’s probably better to focus on non-drafting events like time trials or multisport races or just going on challenging group rides or gran fondos. Roadies are accustomed to crashing, dusting themselves off, and getting back on their bikes to finish the race—if this grittiness and element of danger appeals to you, you’ve found your sport. So why should I do this? You make it sound like a lot of work, not to mention a big hospital bill. Competition is beautiful. There’s nothing like beating someone at the line in a sprint, split seconds between you. It’s an endorphin rush you’re never going to feel from a steady time trial. Racing works your mind in surprising ways, too—you learn to read people’s movements and thoughts, even predict the future. You’ll get into the deep dark depths of yourself—what you’re afraid of, your physical limits and strengths, how far you’re willing to push yourself, how well you can manipulate and manage other people and situations. In the process you’ll find talents you never knew you had, like performing well sprinting for a certain distance or sliding into a tight spot. Getting to race on a team in a sport in which a team actually matters is fun, too; the opportunity to contribute and work toward a mutual goal is immensely satisfying. Racing is addictive, and you’ll have a hundred sane reasons for not doing it, and you’ll do it anyway. It’s kind of like eating ice cream. I’m a strong time trialist (or triathlete), so I’m going to be awesome at road racing, right? Not necessarily. 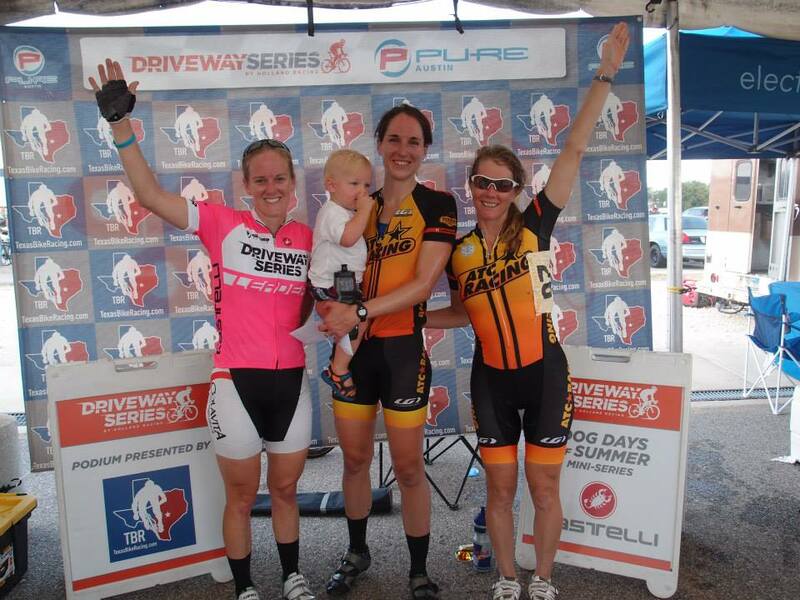 This was me…I did a few Mopac TTs and the Tour de Gruene TT and thought I was going to win my first road race easily. I learned a few very hard lessons. Lots of roadies don’t do TTs and tris, especially in the road “off season” when they’re all taking a much-needed break, so you’re going to see whole new levels of fast in your first mass-start races. The format is also very different—you don’t get to choose the pace; expect sharp accelerations throughout and adjust your training to prepare by incorporating intervals and hill climbs. You’ll also have a lot to learn about race tactics and positioning. 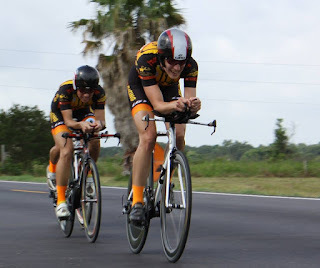 If you’re a strong time trialist, you’ll figure it out if you make an effort to, but it’s going to take time, so don’t be too disappointed when you don’t make the podium your first couple of races. Yeah, but you don’t understand. I’m really fast. People keep saying I could be a pro. How do I race at a professional level? Well, that changes everyth…no, it actually doesn’t. Not at all. You still have to work your way up from the bottom like everyone else. You may win your cat 5 races, and that’s great, but old fat guys are going to be beating you at local races when you get to 1/2 if you don’t train like a demon and learn how to read the group. If you’re the prodigy you say you are, you’ll rise through the ranks quickly and eventually you’ll hit the plateau where either talent or experience is curbing your rapid rise, and there you will learn all the things you may have skipped in the easier categories. Like I said, everyone pays their dues. The way it’s done in most cases for men is that they start young, maybe riding for a junior development or local elite team. 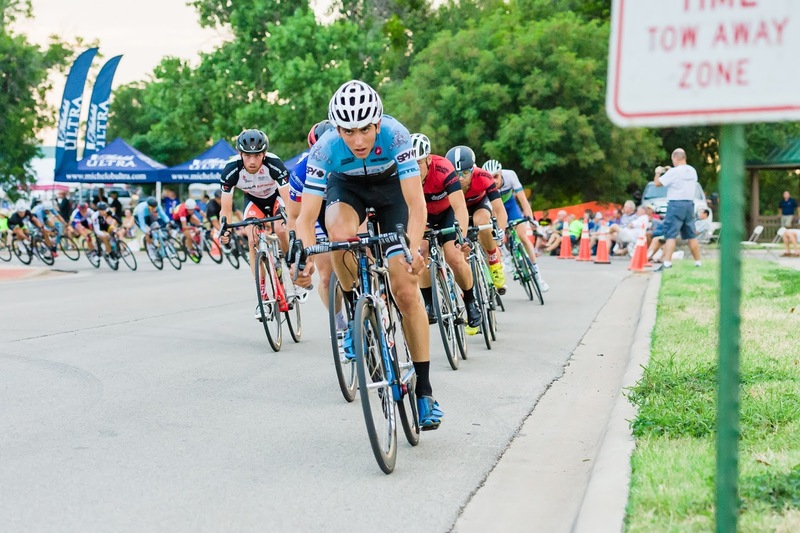 They usually spend quite a bit of time racing locally before they sign up for National Racing Calendar events, which represent the U.S. domestic pro circuit. If they’re really, really good, they might eventually start racing for a team in Europe, which is where the only real money in the sport is. 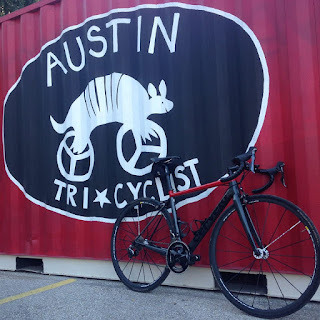 But don’t give up on the idea of racing —if you’re not young and you’re not earth-shatteringly fast, in Austin there’s still a lot of prestige in racing at the top categories on a local level, and you’ll have incredible competition. Women tend to start later and come from a wider variety of backgrounds. The advantage of being a woman: you can start racing with the best in the country as a cat 2, possibly even in your first season. Most NRC races are P12 fields for the women. 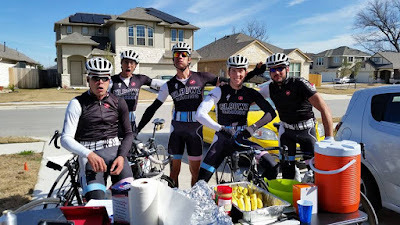 For some events you can enter as a solo rider, and if the race is limited to invited teams, often you can still get a guest-riding spot on one of the smaller elite teams. The disadvantages of being a woman: there’s even less financial support than for the men, and there’s a huge jump from local races to NRC in terms of talent and field size. It’s a good idea, if you’re thinking you’d like to race pro, to race with the local men’s fields as much as possible. In general, the path to racing for a woman’s domestic pro team is very simple: 1) cat up to at least a 2 and learn how to race in big, fast fields; 2) guest ride for pro/elite teams to get some exposure and experience; 3) make connections with other riders and team directors to get invited onto a team. To be a professional cyclist you’ve got to love the sport. There’s very little financial incentive. As a woman, you won’t get rich, period. You’ll be lucky to get paid anything. As a man, there’s a 99.9% chance you won’t get rich, either, and only a slightly higher probability of receiving a minimal salary. That’s the reality. So no matter what, have fun with it; that’s the only real reason to race. Imagine the scene: the tree trimmed to Christmassy perfection, a cup of hot chocolate in hand, the fire crackling, brightly wrapped gifts stacked in orderly piles of anticipation, the sun just dawning on the perfectly peaceful holiday morning… And then, as the first present is opened, the biggest surprise of Christmas day bursts forth in a grunting, armor-plated ball of pent-up terror. Tree and presents are toppled, drinks are spilled, sparks fly from the fireplace, the children are terrified into absolute silence, and all adults present are racing to subdue the creature before all is lost. As the smoke and debris clears, the bundle of cheer is revealed to be an armadillo, perhaps dressed up to look like Rudolph in a small-dog costume, complete with red nose. Why gift scented candles and kitchen appliances when you can be so original, daring even? We don’t know why no one ever likes our most creative ideas. Austin Tri-Cyclist is, unfortunately, not licensed to trade in live armadillos. Staff do their best to keep things exciting, however, and while this year’s list of holiday gift ideas might be more practical than a wild animal, they’re still sure to be loved by the recipient. Now in stock, this running watch includes a built-in heartrate monitor. Getting heartrate from your wrist versus an uncomfortable chest strap will put an extra spring in your step. 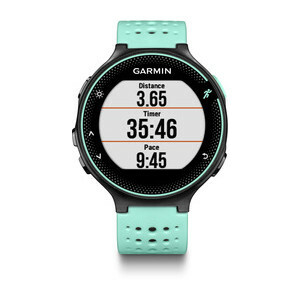 The watch also tracks distance, pace, time, and more. Winter training means lots of time in dim light or pure darkness for cyclists and multisport athletes. Try this bright little gem for compact and rechargeable rear illumination. Store-bought bars and gels can get boring and expensive; make your own with the Feed Zone Portables Cookbook. Or check out The Feed Zone Cookbook for healthy meal recipes designed specifically for athletes. Off the bike, Speedplays used to have the downside of being more delicate than other pedals and more prone to slipping. These beauties let you take a hike without fear of embarrassment and protect the cleat from wear (and damage to floors). Included "cleat buddies" can be plugged into the center cavity for walking in dirty conditions. Speedplay also claims an aero advantage. Still not the real dillo, but close…this fashionable tee is perfect for the runner/triathlete with similarly good taste in music. Skratch Labs Fruit Drops Energy Chews make a nice stocking stuffer. Check out ATC’s other nutrition options as well, in powdered, gel, and bar form. “You’ve done this before,” our guide Enda says, obviously surprised to see that I’ve caught up so quickly. I feel a sense of pride, though I know I probably shouldn’t. The water is smooth, the group is slow, and I’ve got enough muscle memory to remember how to use a paddle, even if it’s been five or ten years. The kayaking guides of outfitter Irish Adventures are simply accustomed to pure beginners. But this is exhilarating, the feeling of floating on the water, so like flying. I realize that my satisfaction in the activity is not all that different from what I’ve felt for bike racing—a sport that has been my passion for the past five or six years and part-career through the 2015 season—or the idea of travel as a whole: it reflects my deep-seated need to always be moving, to be hurtling forward in whatever arbitrary direction, and not only that, but to do something that other people can’t or won’t…and, of course, to do it better. There’s perhaps something wrong with me, in that competition is at the heart of nearly everything, especially if I think I have reason to be good at it. A big motivator is my rather combative streak of feminism: a quest to raise expectations that always seem to be set too low. Enda points out historical structures along the cliffs. We explore narrow sea caves, where starfish cling to rocks in the dim green light. One of our group falls out of the boat in the rolling waves near the mouth of the harbor but manages to pull himself back in without too much trouble (we’re wearing wetsuits). We look for Fungie, a friendly solo dolphin who’s frequented the area since 1984 and has become a regular tourist attraction, but he fails to make an appearance. Dingle’s intensely green, sloping hills and the cold, clear salt water are very different from Austin’s end-of-summer brown and boiling heat, and I find myself falling in love with Ireland and this unique slice of County Kerry for its beauty and its ancient history and its opportunity for adventure and, yes, even its inexplicably eccentric, people-loving porpoises. The Dingle Adventure Race seemed awfully inviting. DAR is a bike, hike/mountain run, road run, and kayak—the annual adventure race takes place on June 11 in 2016, with three course options of a Full, Sport, and Mini. For the Full, the road cycling portion is 25K (elevation gain 480 meters), followed by the hike/mountain run of 10K (elevation gain 950 meters) and a 10.5K road run, and ending with a 2K paddle by kayak and a 0.75K sprint on land to the finish line. It’s not one of those race courses that repeats a dozen circles on top of itself but is actually one very large loop of the peninsula, and the two shorter courses take a significantly different route, those going directly west versus north. Another big plus, at least for a sink-like-a-stone person like me, is the fact that it’s a multisport race without a swim leg. A kayaking guide on a trip later in the week at inland salt lake Lough Hyne would tell me that in the past most Irish people didn’t learn how to swim, even the fishermen; it was thought better in the cold water to just get it over with and drown quickly. I have to say that after taking a very brief dip in Lough Hyne, which was my first full-body ice bath, I can appreciate their logic. That said, the elderly Irish lady who got in the water the same time as me, saying it was warmer than she expected, outlasted me by a factor of about 10,000, smiling all the while, so I’m not certain how truthful the guide’s the-Irish-don’t-swim myth was. In 2015, the male winner of the DAR full course finished in 2 hours 43 minutes with the next two competitors roughly one minute and two minutes behind, and the female winner finished in 3 hours 40 minutes with a six-minute lead. Given the club names, the DAR results list appears to be overwhelmingly Irish, and to be honest, I’m not sure if I’m sharing a closely guarded national secret. Dingle itself, however, is a tourist magnet for both Irish and international visitors—the population is roughly 2,000, but the town has 50-something pubs, and the Dingle Peninsula is referred to as “the jewel in the crown of the Wild Atlantic Way.” At the beginning of my eight-day trip with Vagabond Tours, we used our accommodations in Dingle (Emlagh House) as a jumping-off point for stand-up paddle boarding in Castlegregory, golf, historical sites like Gallarus and Kilmalkedar, the dramatic seaside cliffs of Slea Head, some incredible hiking and beach lounging near Annascaul, and a distillery tour. I had a lovely eggplant entrée at restaurant An Canteen. I also enjoyed the fact that Dingle is a true Gaeltacht region, or enclave of Gaelic speakers. Never mind that I can’t parse a single syllable out of it, it’s enchanting to hear. 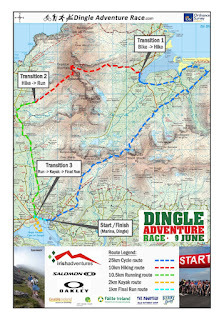 Dingle is a good place for endurance training, as well. I had no bike to try the road routes, but I went for a run along a bluff trail that bordered the harbor. There’s something about running along the water, especially a cold-water ocean like Ireland’s with all its rocks and innate moodiness, that I love. I ran there late one evening and then again first thing the next morning. I stopped by the 19-century tower near the harbor’s entrance, peering around and inside. I walked cautiously through a pasture heavily populated with cows that didn’t seem to want to budge from the path, asking them in an exceedingly peaceable tone to please not chase me off the cliffs because, honest to God, I was a 15-or-so-year veteran vegetarian. Though I was imagining the terrible irony of any incident and the Irish newspaper headlines that would result (“Daft Texan Trampled by Cattle”), I successfully managed to get past them to reach the red-and-white lighthouse and the bend of the trail, where I ran a short way along the open sea. Seagulls swooped around me, and I noted that even they seemed to have a different sound, an Irish accent of sorts. As clumsy and exhausting as it was after several years of strictly cycling, running there felt like an expression of pure joy. I’d come to Ireland on a trip with Vagabond Tours to write an article for lifestyle magazine Prime Living, which will be published in the 2016 March/April issue. These sporadic press trips are the best part of my professional life, a top-shelf reward for otherwise being a semi-starving artist back home. Though technically work, the experiences bring out the best in me. I think that in traveling and going to see things, we’re really going to visit a part of ourselves that we only let out to play an odd week or two during the year; we are free to be indulgent observers, seekers of unscripted adventure, to be completely and unabashedly at play. For me, an unintended consequence of these exotic excursions is often a swing back in the “wrong” direction. 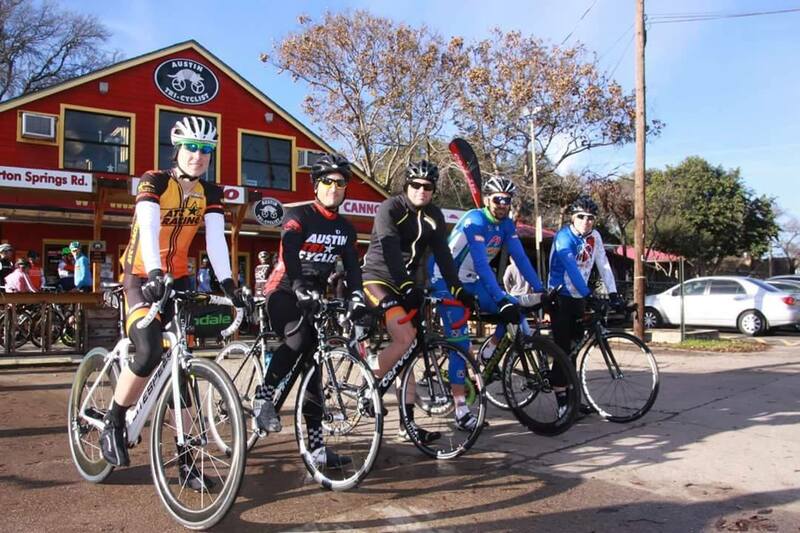 In late 2014, surrounded by the myriad bikes of Copenhagen and a few weeks later the beautiful trails and roads of Monterey, California, that November I’d put all my chips back onto the table and joined a domestic pro road cycling team for the next year, breaking the firm promise to myself that I was done with competition. Now I have this new unsettling set of ideas from my experience in Ireland, the tantalizing prospect of adventure racing, or maybe pure kayaking, or maybe multisport again, or maybe mountain biking, or maybe…you see what I mean. I’m no longer ruling out the Dingle Adventure Race as a possibility, some day. I do very much want to return to Dingle, if only just to wander through it again. I may even have promised as much to those cows when I was bargaining for my life—tourist dollars, you know. And besides, I still have to meet Fungie.